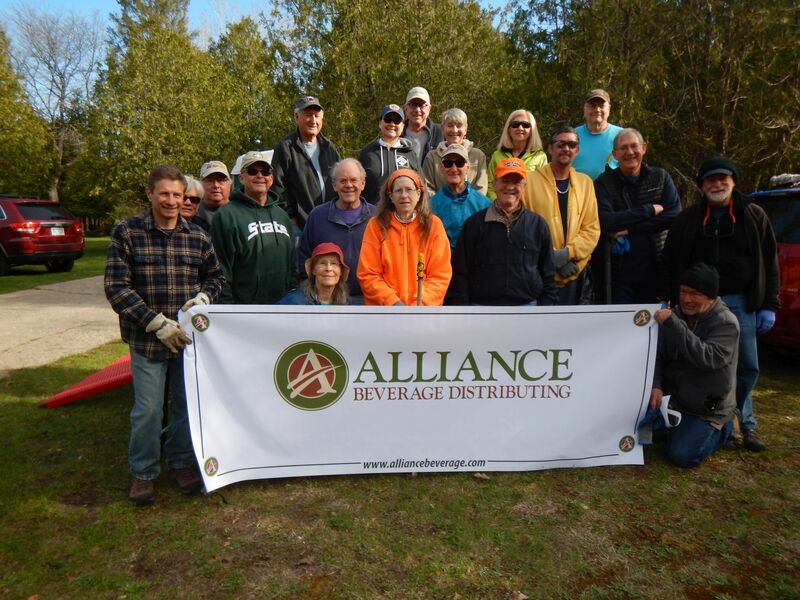 This year's project was funded by Alliance Beverage Distributing of Traverse City. From the photos, I see that we had 25 people come to the event even though only 20 can be seen in the photos. A family of 5 was late and arrived after we took the photo which is sad since they were the family with the beautiful kids and it is Mother's Day, after all. The cleaned up area of the Commons is bordered by Division, 11th Street and Silver Lake Road and Kids Creek on both sides of 11th St. Many homeless people camp in those woods and they have no facilities to dispose of their trash and debris. Therefore, it builds up and needs to be taken out every year. We have obtained permission from the City to place a dumpster there for their use which will be paid for by The Boardman River Clean Sweep and the Traverse Area Paddle Club and we hope that will mitigate some of this littering in one of the last remaining large natural places in the City. Last year, we found 4000 pounds of trash and debris. There was a lot of it but it was smaller and fit nicely into bags for disposal. This year we found less debris but it was large, heavy and much of it was difficult to impossible to get into bags. We had to wrap it in tarps and drag it out of the woods with a golf cart provided by the Traverse City Country Club. Without that cart, we would not have been able to complete the task. We plan to make this an annual project. The UpNorthLive Website did a nice article about us. Thanks to UPNORTHLIVE for your interest and coverage.